Throughout the month of August, Thorne and Derrick (T&D) is running a special offer on Silver Fox’s tie-on cable labels. T&D is a national distributor and worldwide exporter of cable installation, cable jointing and electrical equipment for industrial and hazardous areas. T&D service utilities, power, construction, rail, mining, street lighting, offshore, oil, gas and petrochemical industries. Silver Fox tie-on cable labels are ideal for larger cables and cable bundles - and for use with nylon or stainless steel cable ties. Moreover, they can be printed using any standard office laser printer. Silver Fox thermal tie-on labels can be printed using the Silver Fox Plug’n’Play thermal printer with the Silver Fox labelling software Labacus Innovator. 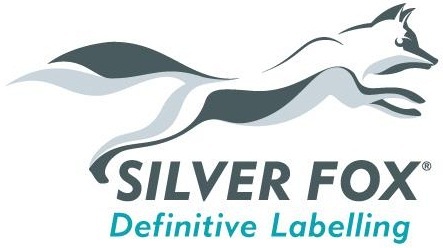 This Silver Fox software includes templates for both laser and thermal tie-on cable labels.” She added that using Silver Fox tie-on cable labeling solutions enable users to produce a number of cable labels in seconds – saving time compared with more traditional cable label production methods. Silver Fox are leaders in UK manufacturing cable, pipe and valve marking and labelling solutions. They deliver innovative, durable, cost-effective and efficient systems for data, telecommunications, instrumentation, power, electrical, energy and rail industries worldwide. Silver Fox cable markers and cable labels provide fast and efficient identification of cables, wires, optical fibres, panels and low and high voltage electrical equipment in both safe and hazardous areas. In addition, the company has won numerous awards, including the Queen's Award for Enterprise - International Trade in 2005,” she said. Silver Fox labels carry important notification and safety messages that are vital to any installation - and they’ve been used to label cables and pipes in the London Underground (LUL), as well as in the oil and gas sector around the world. 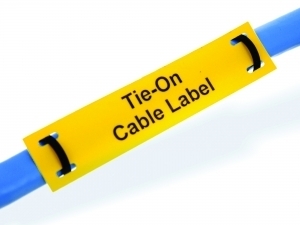 Indeed, both the Fox-Flo and Legend ranges of tie-on cable labels are authorised for use on LUL. Silver Fox supplies individual packs of cable labels and fully integrated cable labelling systems, using thermal or laser printing, for a wide range of cables, wires, optical fibres, panels, enclosures and equipment. Silver Fox label printing systems include the market leading label printing solution, Fox-in-a-Box. Fox in a Box gives customers a fast and simple method of printing cable labels straight out of the box. "We’re delighted the T&D is showing its faith in our products’ quality and cost-effectiveness by enabling their customers to buy them at an attractive discount – perhaps allowing them to try out these products for the first time,” said Nico Frame, Silver Fox’s Marketing Manager.